Dunga: "Barcelona's type of football hasn't been the ideal for Neymar"
The former Brazilian midfielder and National Team coach, Dunga, has recently given voice to his thoughts about the World Cup in public. As expected, the 50-year old manager analyzed what the Brazilian Team has done so far and focused in his country’s star player of the moment, Neymar Jr. According to him, the only reason for Neymar to not have shined in Barcelona as much as he do when he plays for Brazil, is mostly because of the Blaugrana‘s passing style. There are a lot of opinions on the reasons why Neymar didn’t get the spotlight in Barcelona in his first year in Europe. One of many of those theories has to do precisely with the fact that the Brazilian player is still settling in to a new type of football in Spain, with less spaces and more tactically demanding. Another theory was backed up by Dunga earlier this Wednesday and it basically blames Barcelona‘s tiki-taka style. Dunga: “Neymar‘s biggest strength is dribbling and take on opponents without having the fear of losing the ball. However and as we all know it, Barcelona prioritizes a different style of of football, where passing the ball around their players is the golden rule. 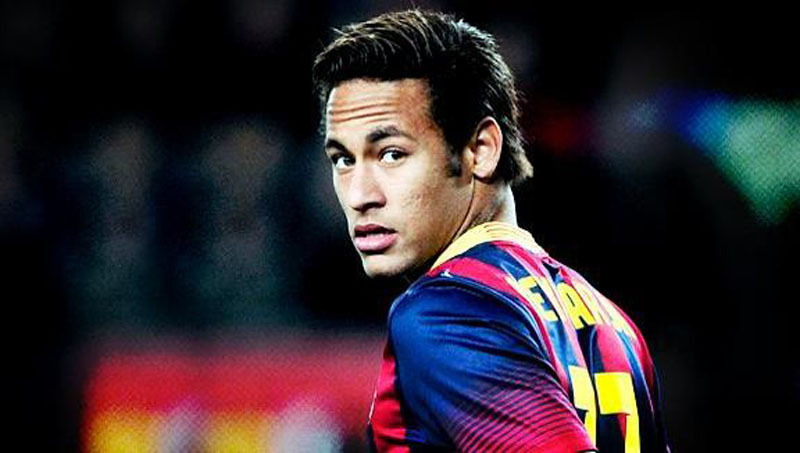 That’s why Neymar has been looking an average player in Barça so far! When he comes to the Brazilian National Team everything is different though. He’s given the freedom he needs and he’s allowed to make use of all of his creativity on the pitch…”, insightfully pointed out the former 1994 FIFA World Cup winner. Things might be different in a very near future though. Barcelona‘s tiki-taka seems to have its days counted and with that, a new playing style under the new coach Luis Enrique is probably already being forged. Dunga: “I think everything will adjust normally. Barcelona needs to change the way they’ve been playing so far, because they will find it very difficult to gather such a talented generation of midfielders has they’ve had in the past years. One of the players who can end up benefiting the most with this new football paradigm that I believe that is being prepared is precisely Neymar…”, previewed the former Brazilian National Team manager, who coached the Escrete between 2006 and 2010. In the meantime, Brazil will face Colombia this Friday evening in Fortaleza, in one the four FIFA World Cup quarter-finals. The match kicks off at the local 5PM, in the Estádio Castelão.